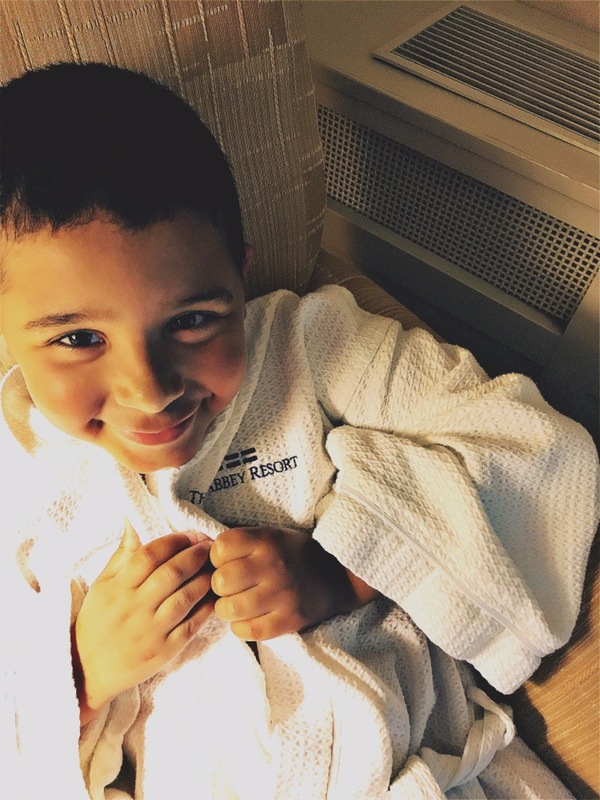 How should I celebrate my son starting kindergarten? I knew I wanted to go away, but not too far from home. I didn’t want us to be in a big city, and I wanted to make sure we could spend quality time together without a lot of distractions. 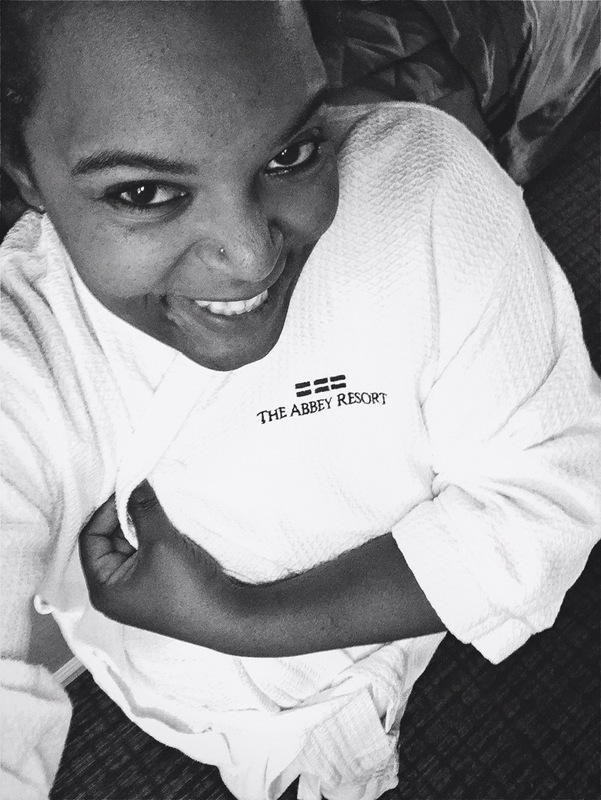 The Abbey Resort and Avani Spa was exactly what I was looking for. 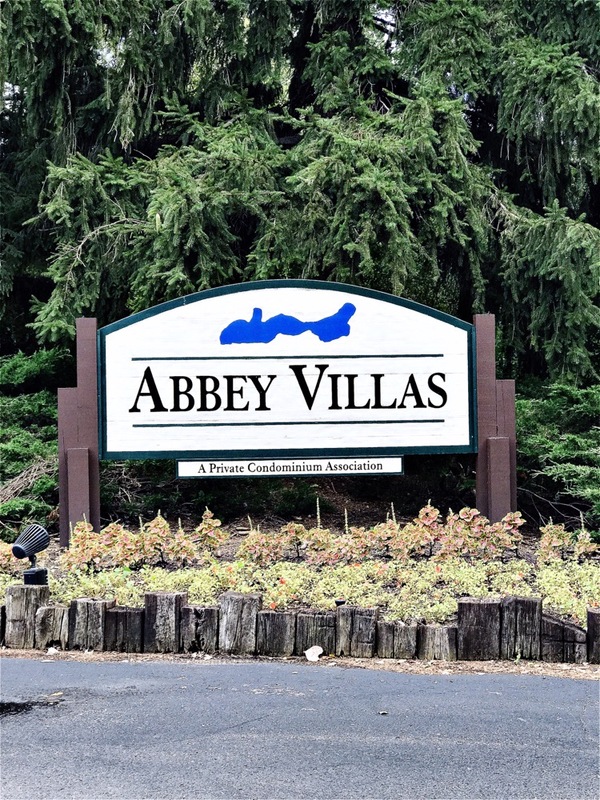 When we arrived in Fontana, Wisconsin we were immediately welcomed by the wonderful sight of The Abbey Resort. Located on Lake Geneva, the view was spectacular with boats docked and on the lake. When we pulled up to the main entrance, we were greeted by a valet. At no charge, they will park a car and take bags to the room. This allows a stress-free check in and tour of the resort. When we arrived at the front desk, the staff was welcoming and very informative. They provided us with an itinerary of events happening during our stay. On the night we stayed, they had two movies and a bonfire for us to enjoy. Tanyatries FYI: before you leave home download their app. I found this super helpful and it kept my hands free. 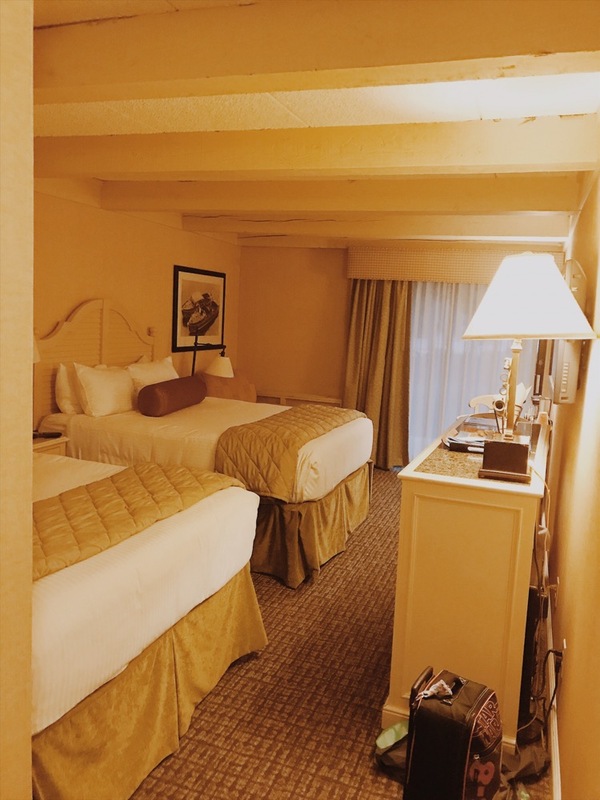 Once we opened the door to our room, my son and I couldn’t stop saying, “wow!”. The room was very spacious. It was also very quiet; we could not hear the outside or anything next door to us. 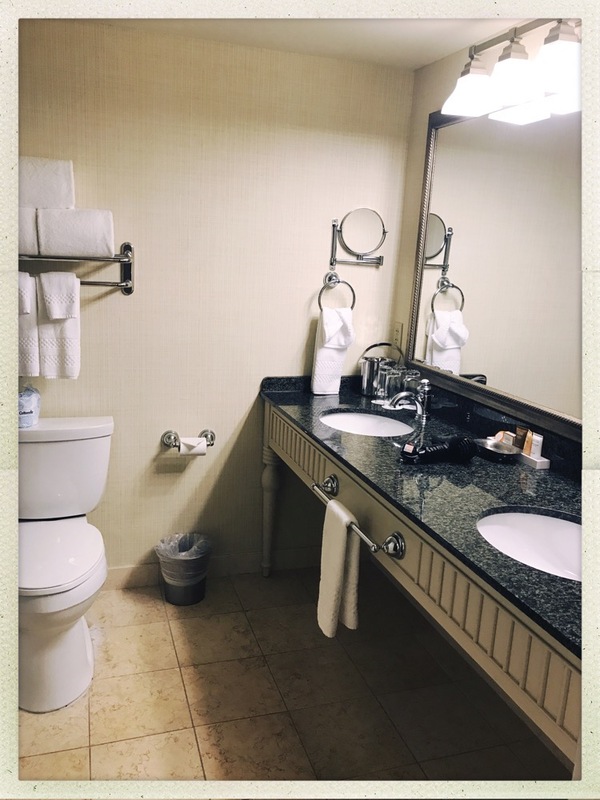 Our bathroom had double sinks, and a rain shower head with a deep tub. Our room was on the first floor and featured a patio with a sliding door. 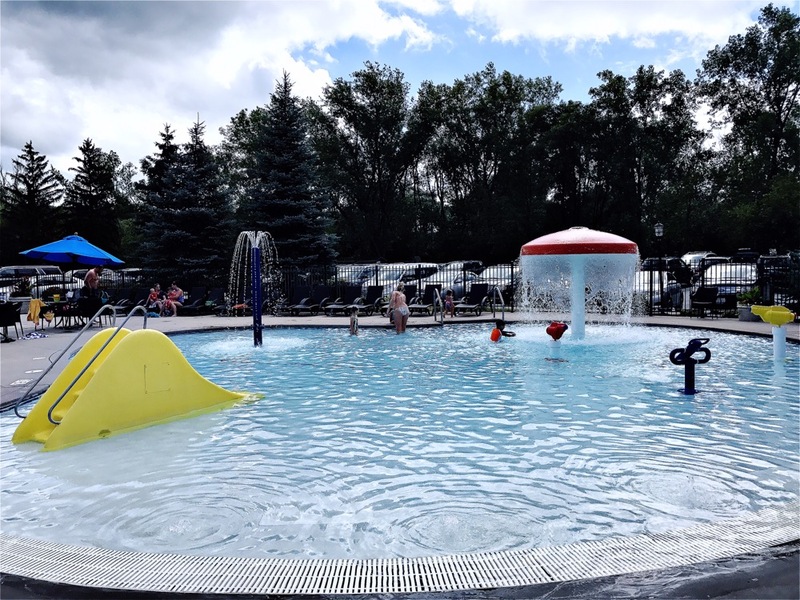 We happened to be located right by two pools: the adults only and family friendly. Second floor rooms offer a balcony. Tanyatries FYI: keep your phone away from your room key. It will disrupt the magnet key preventing it from opening your door. After we unpacked, we were hungry and wanted to explore. 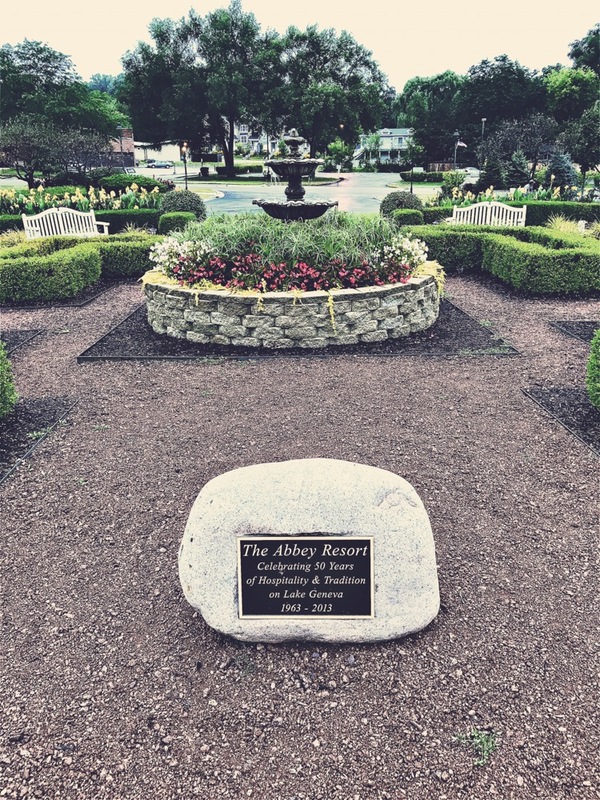 The Abbey offers several distinct types of dining experiences. There is a Bar West which is a sports bar, 240 an upscale restaurant and The Waterfront which is a family friendly restaurant. 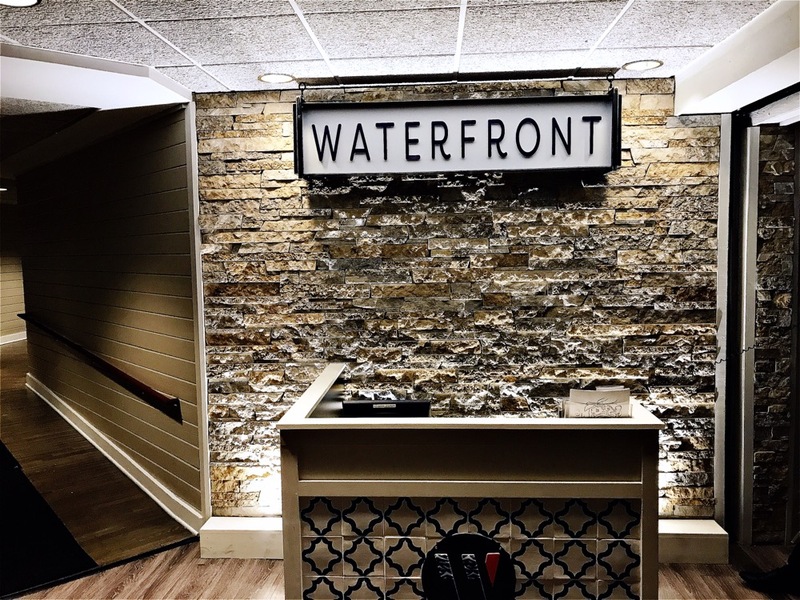 I decided that Waterfront was perfect for a mother and son date night. When we arrived, we were greeted by friendly staff who sat us right away. Waterfront has a relaxing view of the lake and the boats. Their menu was full of great options for any appetite. We shared their cheese curds appetizer. I decided to have their smoked BBQ chicken quesadillas and my son had the chicken tenders and fries. It was delicious. Tanyatries FYI: Waterfront has their own pit masters on site. After dinner, we decided to make smores on the bonfire. There was a staff member there to hand us our skewers; after we were done roasting our marshmallows we went back in and assembled them. If you need assistance they are more than happy to help! After we ate our smores, we headed back to our room to wind down. We got into our pajamas, relaxed on our comfy bed and watched TV on our big flat screen. It was a perfect ending to a wonderful day spent enjoying the resort. Tanyatries FYI: You can download an app that will allow you to use your phone as a remote. The next morning, we woke up and enjoyed a light breakfast at Café Latte. They proudly serve Starbucks coffee which was a wonderful plus in my book! My son had a chocolate muffin and a vanilla steamer. After our breakfast, we did some more exploring. We were early risers, up and moving by 6 AM. This allowed us to walk on the pier, see some of the boats and enjoy the wonderful grounds. The grass was lush and green, and the view of Lake Geneva was outstanding. After we were done exploring the outside, we went inside and decided to go to the activity center. 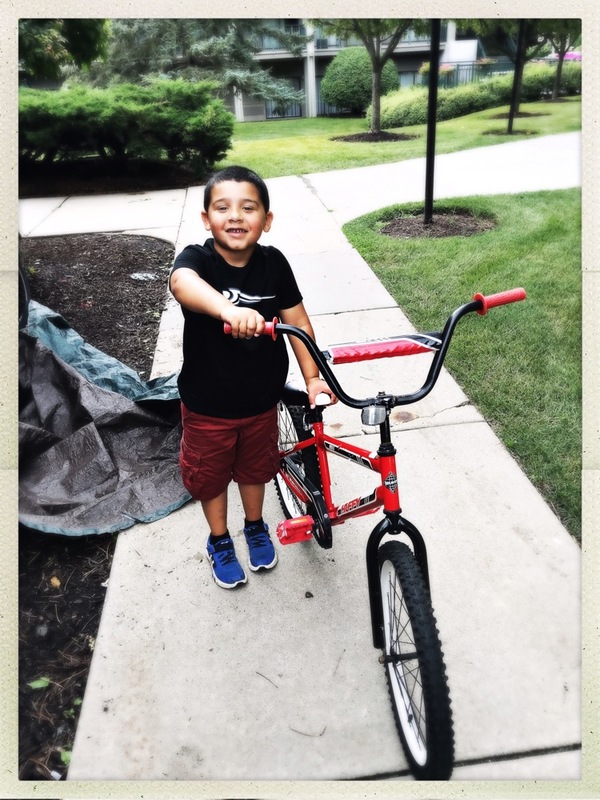 There we rented a bike and my son attempted to try to ride without training wheels. We didn’t get a chance to leave the parking lot, but if you have an experienced biker you are able to take the bike out on the trails and explore. There is no charge for the bike and it is a great activity if you are into exploring. Tanyatries FYI: they do not offer bikes with training wheels. If you do not have an experienced biker, you may want to bring their bike. After our biking adventure, we decided it was time to walk around some more and take in all the beautiful scenery. 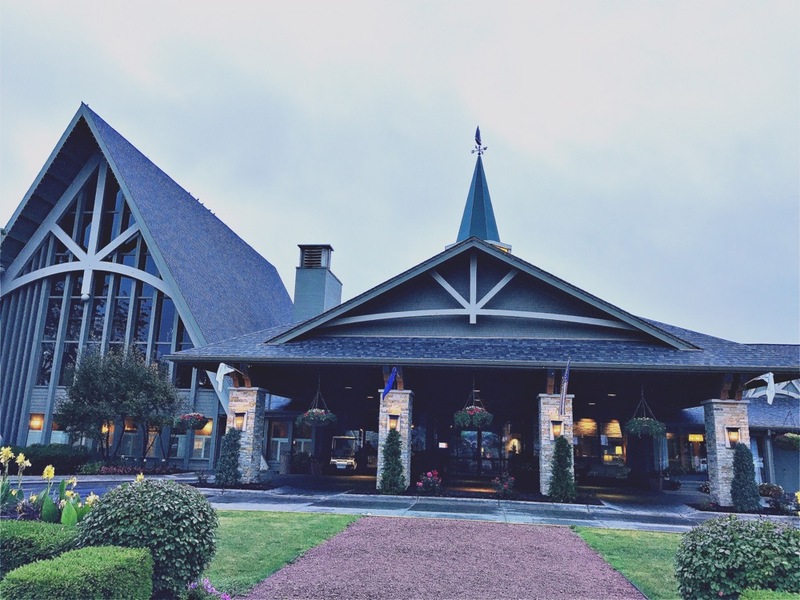 The Abbey allows you to pick what type of stay you would like. If you want to be more action and adventure, you can do that by renting a boat or taking their complimentary shuttle to downtown Lake Geneva. They even offer guided hikes. If you want a relaxing time, you can take it easy lounging near the pool or by heading to the Spa for some pampering. For the type of trip, we planned, going to the pool was just the thing. 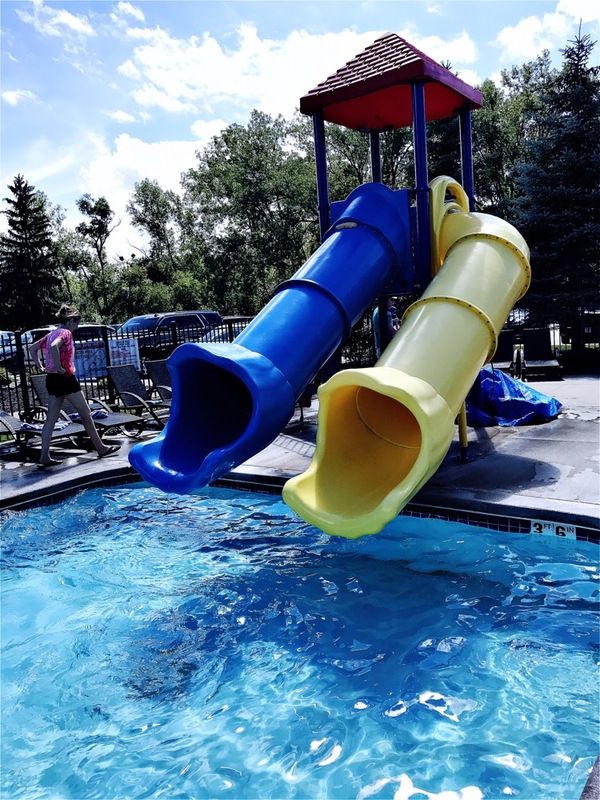 The family pool has three options to choose from. If you have a non-experienced swimmer there is a shallow pool where you could go under a mushroom waterfall, or squirt from their stationary guns. They even have a baby slide. If you want to just sit and relax, there is a hot tub. If you have a more experienced swimmer there is a deep pool that offers basketball hoops, volleyball net, and slides. Tanyatries FYI: No need to bring pool toys. They provide balls to play in the pool. 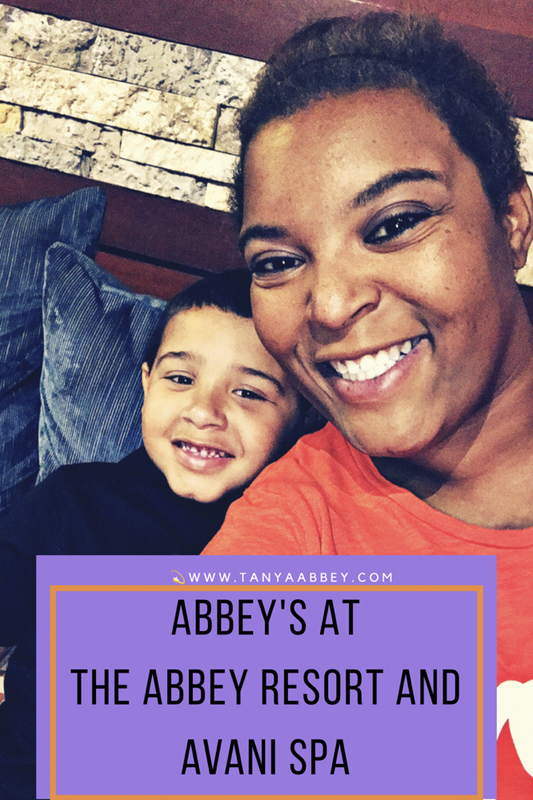 If you are looking for a quick getaway that can be relaxing and stress free I highly recommend The Abbey Resort and Avani Spa. I am so glad I had this time with my son. If you have a boat you can bring it with you. Slips are available for rent during your stay. 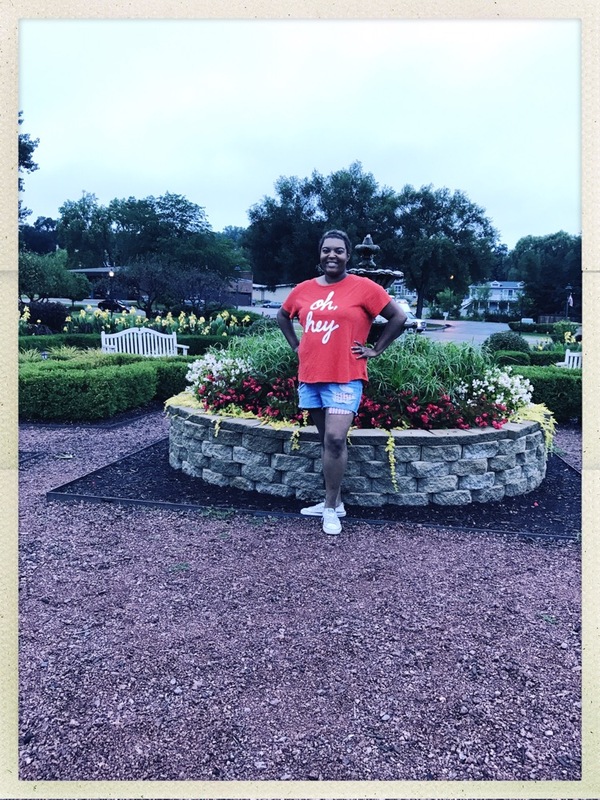 My family and I recently stayed at the Kalahari Resort located in Wisconsin Dells. The Kalahari has a lot to offer, from their water park to an Indoor Theme Park. 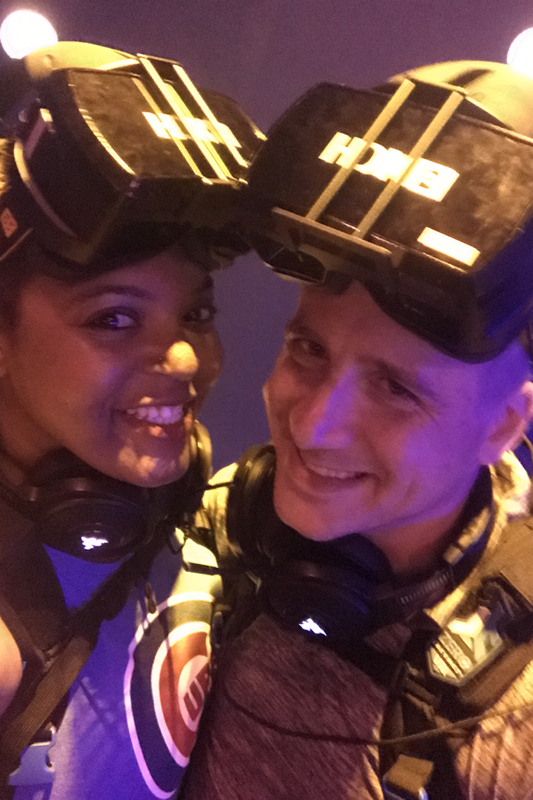 We decided that one of our nights we would experience Arena-The Ultimate Virtual Gaming Experience. 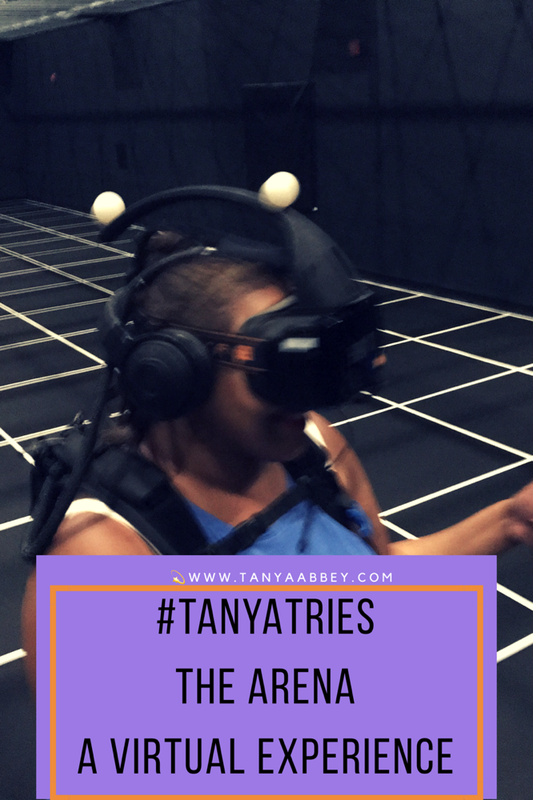 I have never experienced a virtual reality game and was excited and nervous to play. When you walk into the Arena you are placed in a briefing room. Here you will be briefed on how to play the game, what to expect and how to maximize your fun. There will be a lot of information thrown at you so make sure you don’t get distracted by your company, or you will miss some valuable information that may affect your safety. After the briefing is over the game master (person in charge of your whole experience) will give you your gear and walk you through how to operate it. I will say that it is a little heavy so be prepared. Also, if you have long hair, bring a hair tie to pull it back so it won’t get caught in the gear. 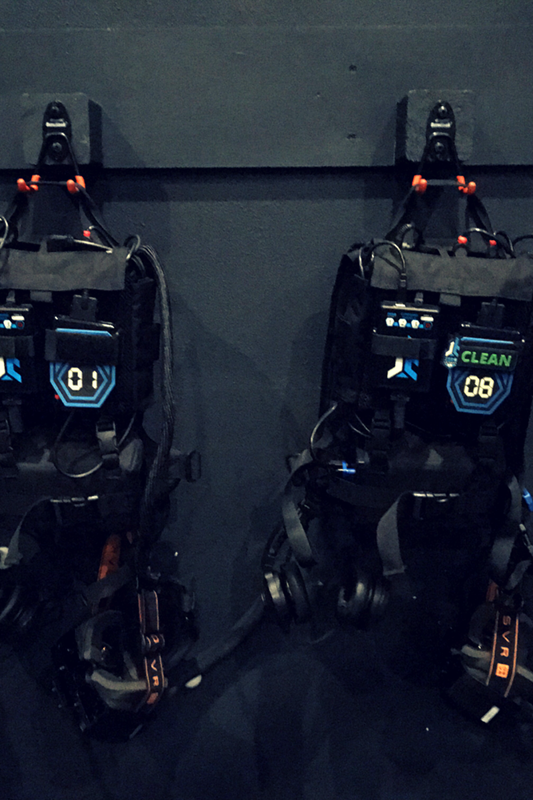 Now that you are geared up you are ready to enter the warehouse which is powered by Zero Latency. 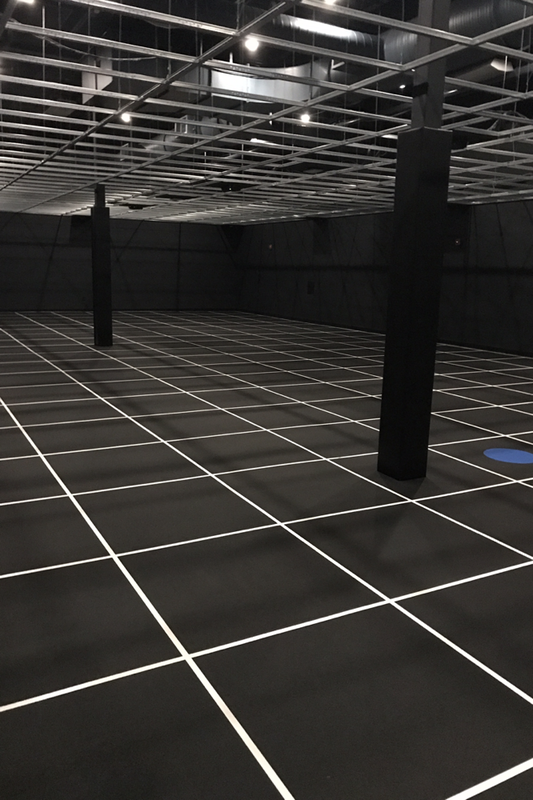 When you enter the space, you notice the room is a grid and within the grid are colored circles. You will be instructed by the game master where to stand. Once everyone is settled into their spaces you will begin the experience. When the game turned out I was automatically transformed into a colorful world with dimensions and twists and turns. I will not go into a lot of detail, I do not want to spoil this for you. I will tell you there were times when I was upside down, running on edges and even underwater. The whole experience was a lot of fun and the 30 minutes we spent on the mission I felt went by it was a lot of fun! helps work on communication skills. Next time you visit The Dells, make sure you add The Kalahari on your list. 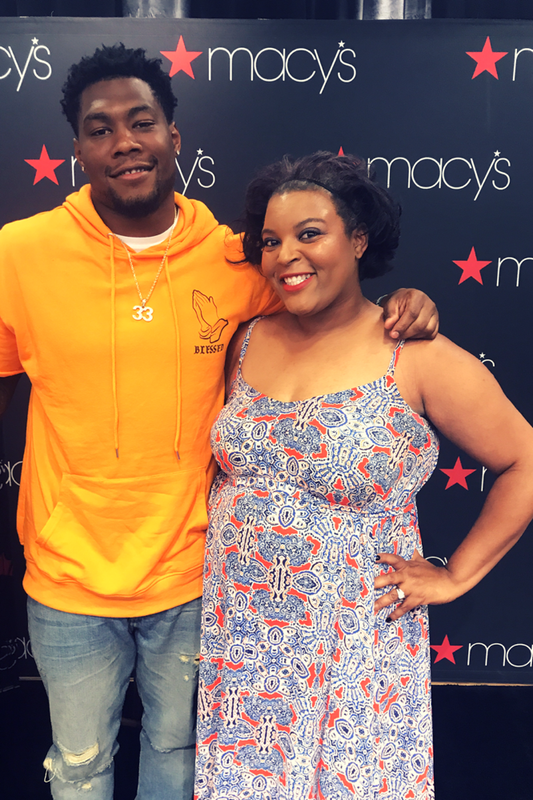 I was recently invited to Macy’s semi-annual men’s fashion event with a special guest appearance by Chicago Bears Running back Jeremy Langford. 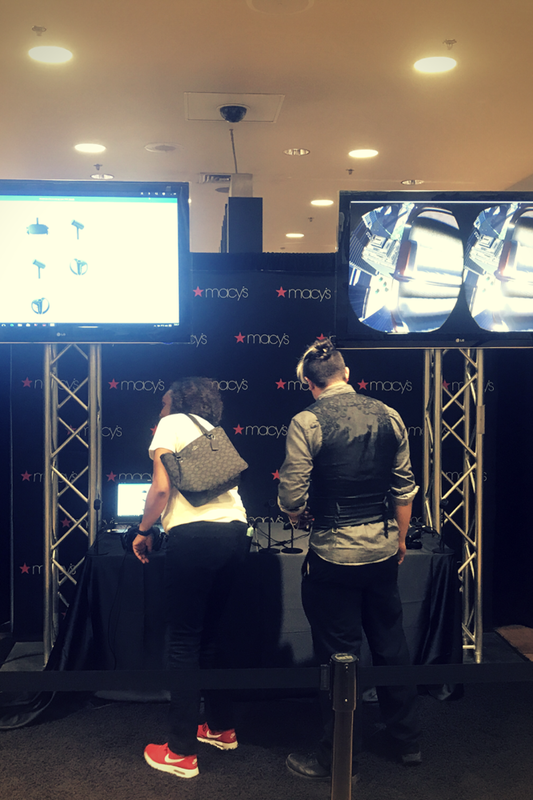 Guests experienced models showing off the latest fashion trends. Keeping the energy up there was a DJ spinning top 40 songs. 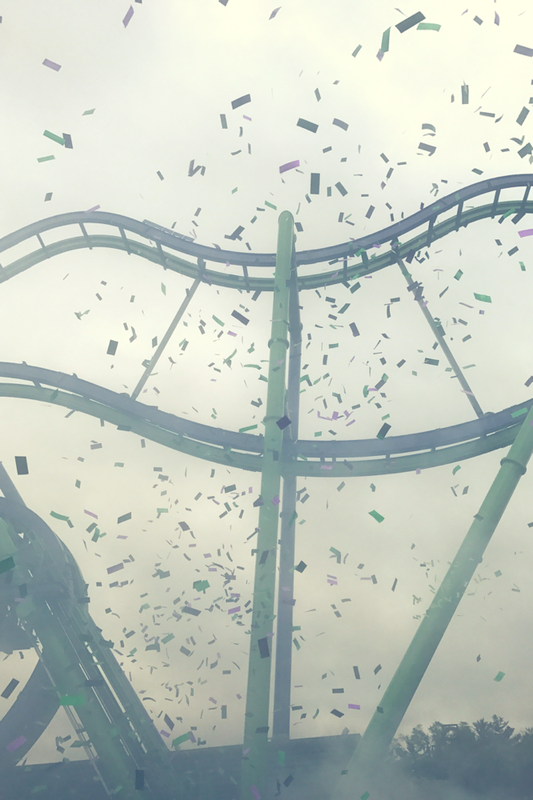 If you needed a break from shopping, there was a virtual reality oculus Google game. 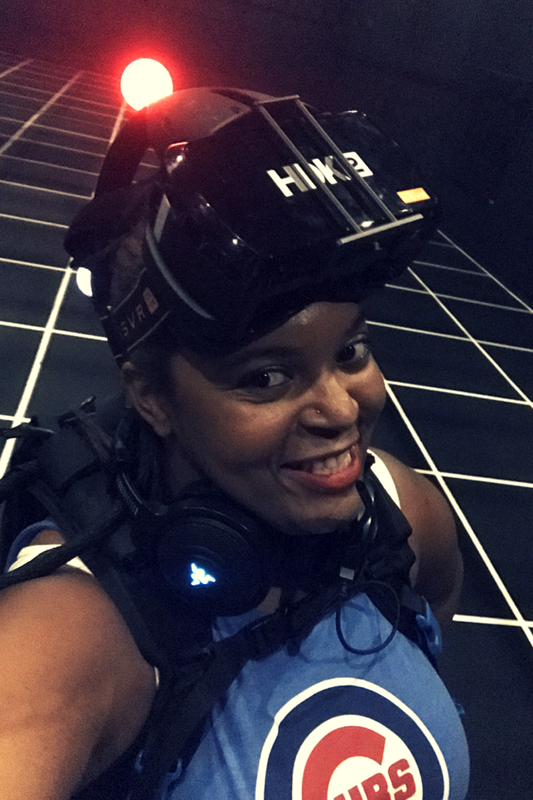 It allowed guests to step into their football field or rollercoaster in a virtual experience. 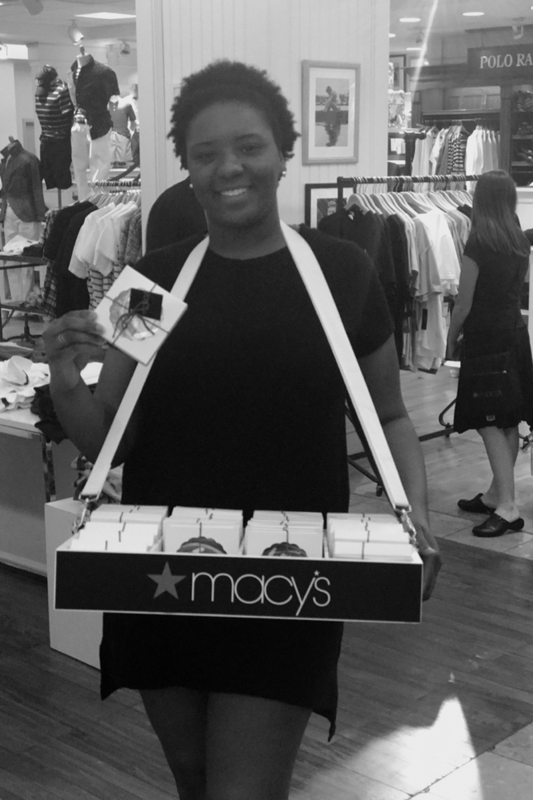 Guests could stop by the Michale Kors Men’s Shop where they could enter and win a Michael Kors shopping spree. There was also a chance to win custom shoes by The Sole Revival. 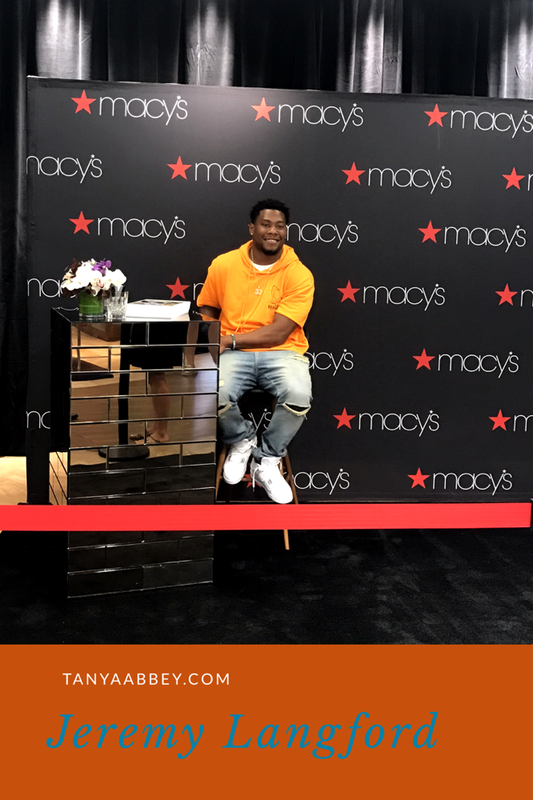 The first 150 guests who spent $35 or more had the chance to have a meet and greet with Jeremy Langford. There he took time to answer questions and receive and autograph. I had the opportunity to ask Jeremy a couple questions. Jeremy also added that he understood that his time in the spotlight is short lived and enjoys every minute of it, because he knows once it is gone he will miss it. The few minutes I got to spend with him, proves just that. He isn’t just a running back. He is a very down to earth person, and is very welcoming and personable. He really enjoys being a Chicago Bear and we enjoy having him represent us on the field. H2O Go! It’s a blob thing. 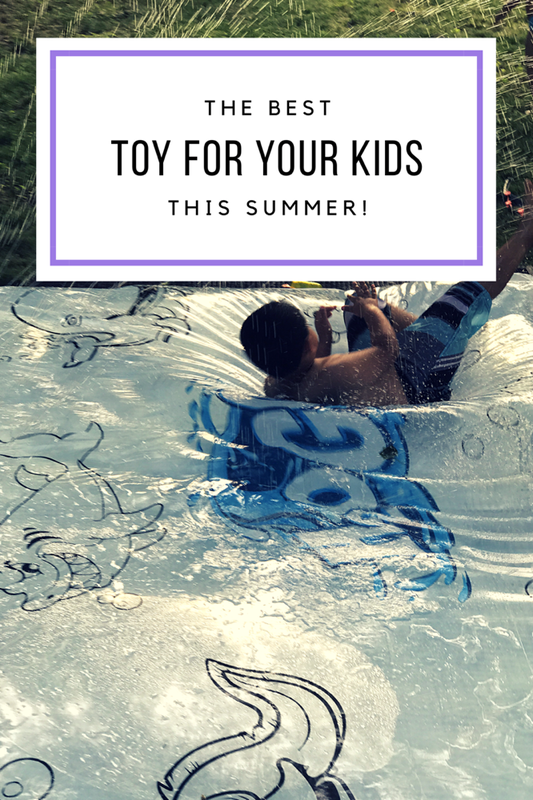 My son recently turned three and since he is a summer baby, I thought a slip and slide would be a lot of fun! I went to my local Toys R US and was heartbroken. All the slip and slides were for ages 5 and up. They were not recommended for my son. I was about to give up and get him something else, when I noticed H20GO! Fun Sketching Art Blobz. Per their description you simply hook the blob up to a garden hose and fill it with water. Once it is filled, water will spray across the top. 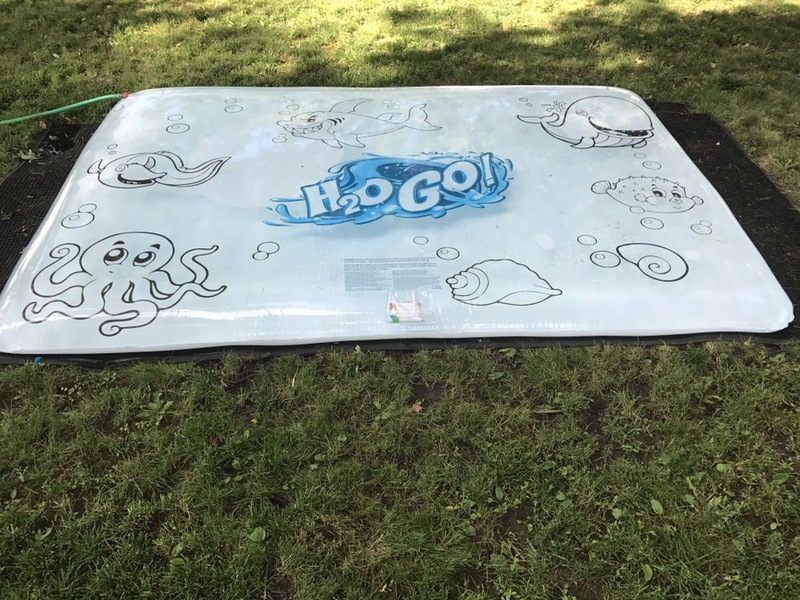 To add more thrills, water fills through the nozzle on top of the blob, creating a cool surface for playing and sliding across. Plus, the sketching blob includes 5 erasable crayons to use for sketches on the blob. 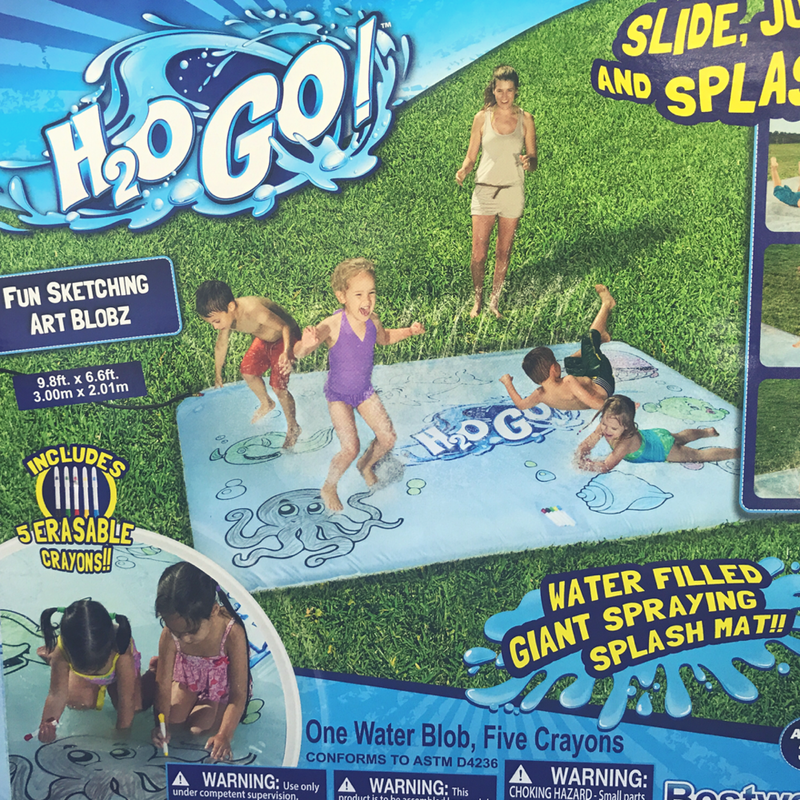 In other words, it is a water blob that allows your kids to slide through the sprinkler onto the splash pad. If they get tired of the sprinkler they can still slide around. Once bored with those options, they can color the blob. My kids have spent countless hours slipping and sliding and jumping and coloring on this blob. We are in love. This is now sold out in stores! I put a few places you can find it below online. Have a splashing time!! 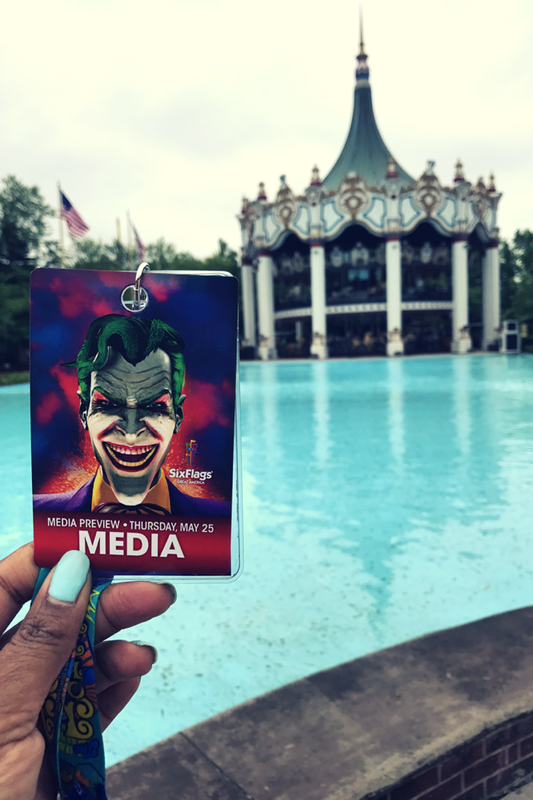 I was recently invited to Six Flags Great America‘s media day to celebrate the opening of their 15th roller coaster officially named THE JOKER Free Flyer Coaster. Six Flags unleashed chaos into the Yankee Harbor section and placed it next to his nemesis BATMAN. As you walk towards THE JOKER it is hard to miss it standing at 120 feet tall. This one of the most unique coasters Six Flags has ever build in their history and that is nothing to joke about. I had the pleasure of being able to enjoy this newest attraction by riding it 5 times. Here are some facts about this chaotic addition. This ride allows you to pick your chaos. the purple side which is the calmer side of THE JOKER. If you ride coaster but aren’t trying to chance fate, this is the side for you. the green side which is the more chaotic side of THE JOKER. This is for the thrill seeker who doesn’t mind being out of their seat. 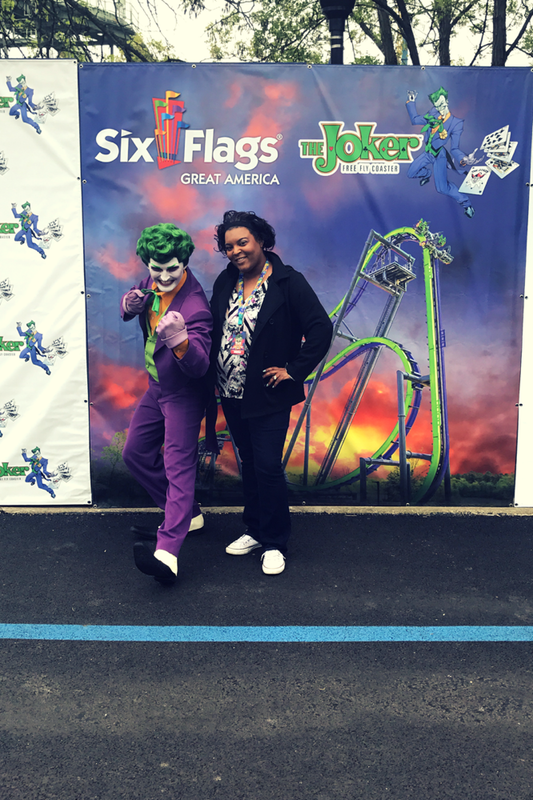 The event was officially opened by the Park President Hank Salemi, but was interrupted by The Joker himself he officially opened the attraction with smoke bombs and his signature colors purple and green confetti. Don’t eat or drink anything before riding. If you have long hair, place it in a ponytail to avoid getting whipped in the face. This ride is my new favorite attraction at the park. Even after riding it 5 times, I did not get sick of it. Remember this is the newest ride and the lines may be long at first, but it is definitely worth the wait. 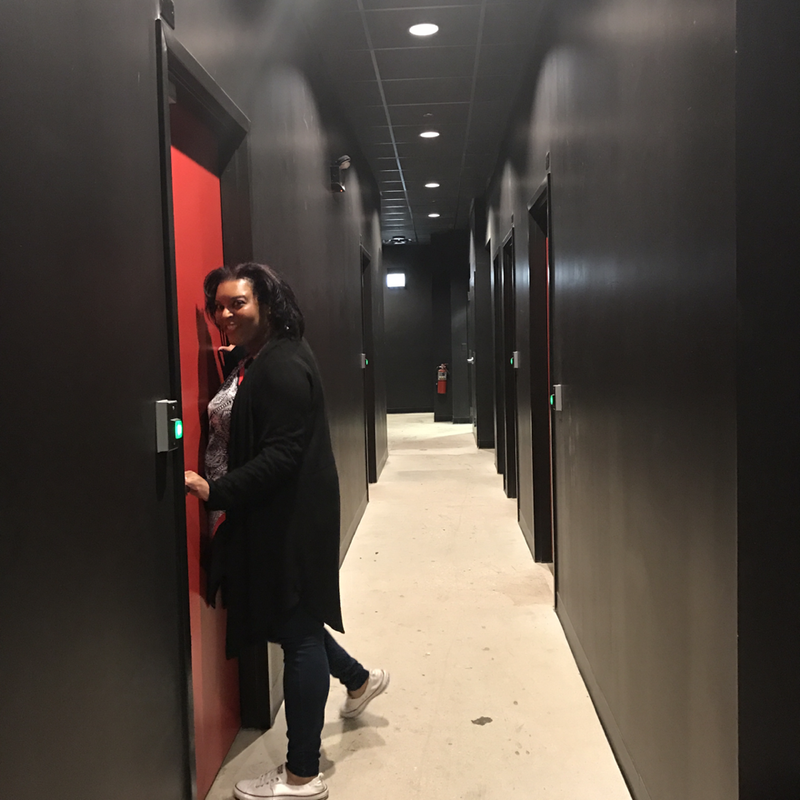 I was given the opportunity to try the latest craze sweeping Chicago, the Escape Game. 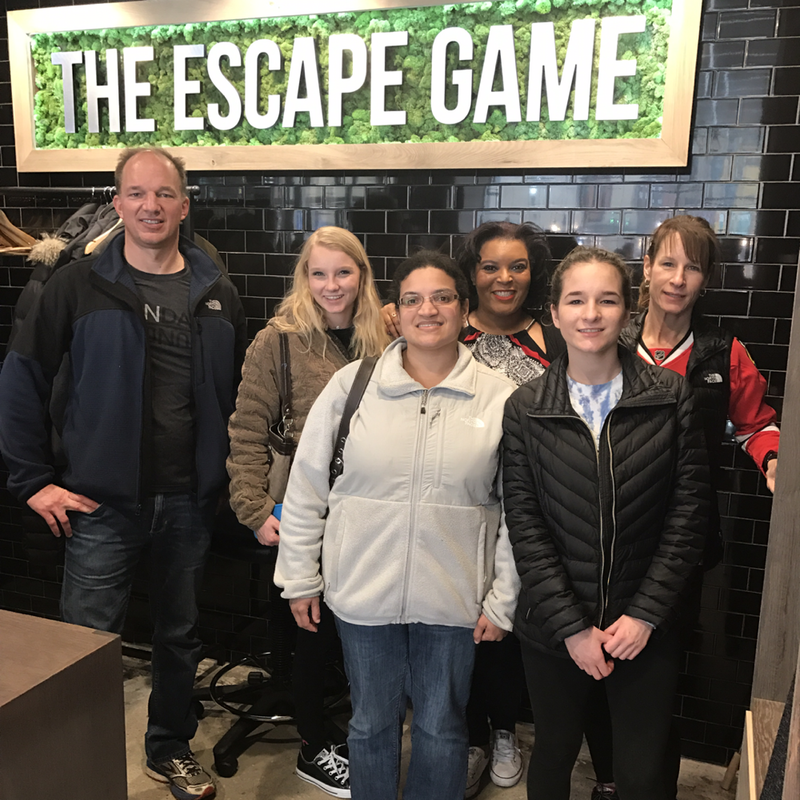 Escape games are played with 2-10 people. The rooms are based on difficulty and rated out of ten. You are placed in a locked room and they only way out are to solve puzzles. You have one hour to escape. Once you have decided to check this out, make sure you can handle being enclosed spaces for an hour. Make sure you can handle loud noises and flashing lights. 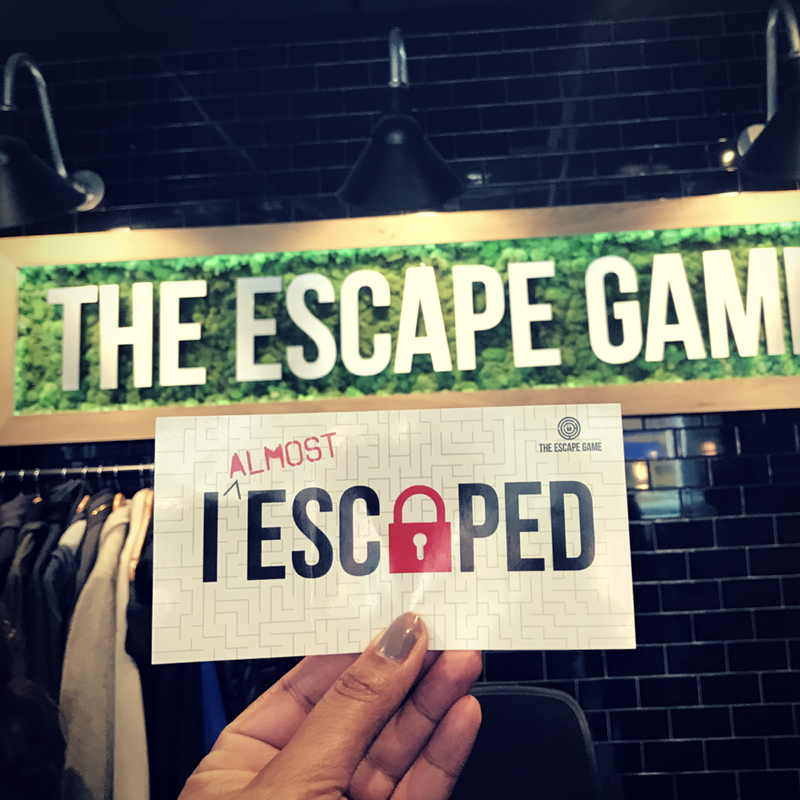 Once you enter the Escape game you have a guide who will play a video for you to set the tone of your mission. Our game was called Mars which was rated 8 out of 10. Our mission was to get back to Earth. Once the video is over, our guide explains us the game rules. We get three clues we can use at any time during the game. If we use a fourth clue we will be penalized with additional time added to the clock. Throughout the whole game, there is a running clock letting you know who much time you have left. Throughout the game, there will be riddles on the screen that will help you along the game. If you are lingering too long on the wrong thing there will be a riddle that pops up on the screen to point you in a different direction. The game is a lot fun and it is really a team effort. Majority of the clues require more than one person to complete the task. I had an absolute blast! I would love to tell you that we were certified NASA rock stars, but sadly we failed the mission. 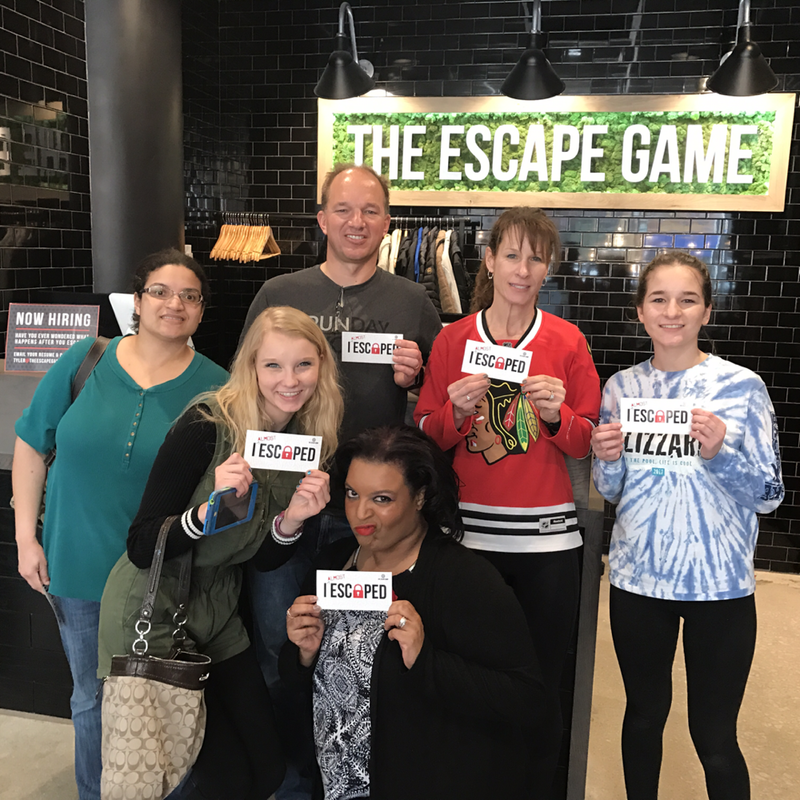 If we would have had at least one more minute we were told we would have escaped. If you are looking for a fun time where you and your group can talk for hours about the one hour you spent together, this is the game for you. Don’t worry I will be back to escape again. 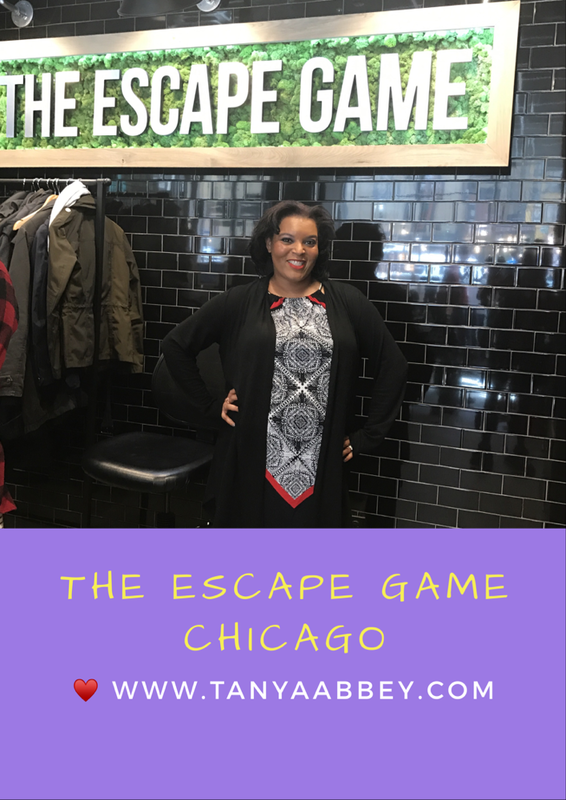 The Escape Game did sponsor my visit. It was in exchange for my unbiased opinion. 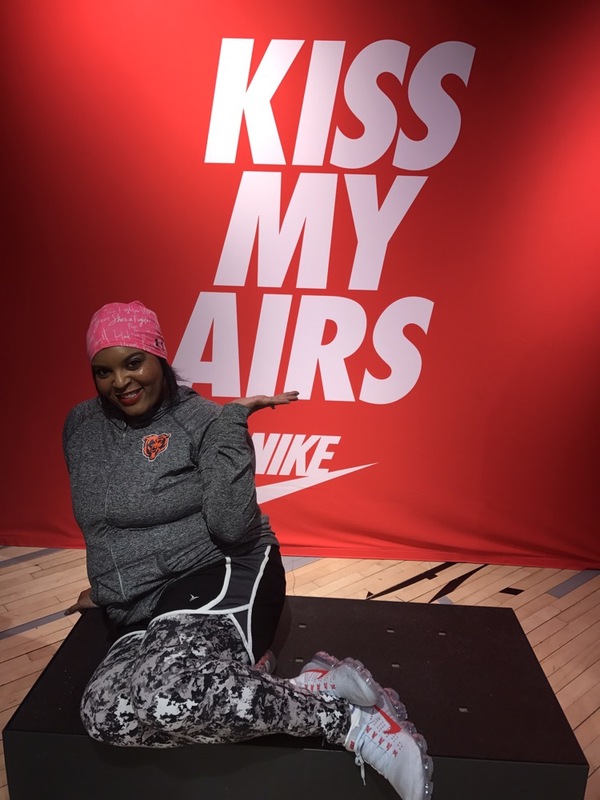 I recently had the opportunity to do a special night run with NRC (Nike Run Club) in celebration of the new Nike Air VaporMax running shoe that was launching on Air Max Day (March 26th). What is Air Max Day? Air Max Day is a celebration of the shoe that began in 1987. Since then 3.26 has been known as Air Max day and this year marked its 30th anniversary. 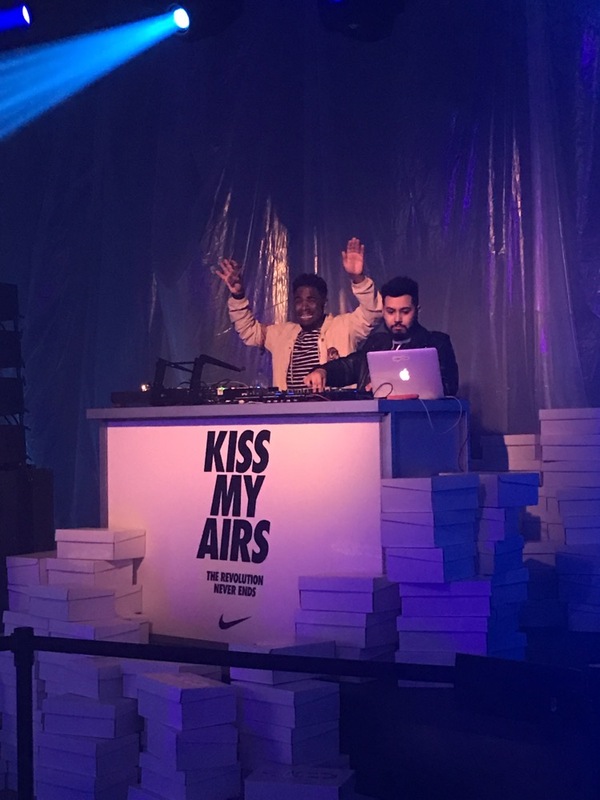 To celebrate this occasion, Nike has thrown events throughout the month of March which included the launch of VaporMax, which is the strongest Air Nike has ever released. 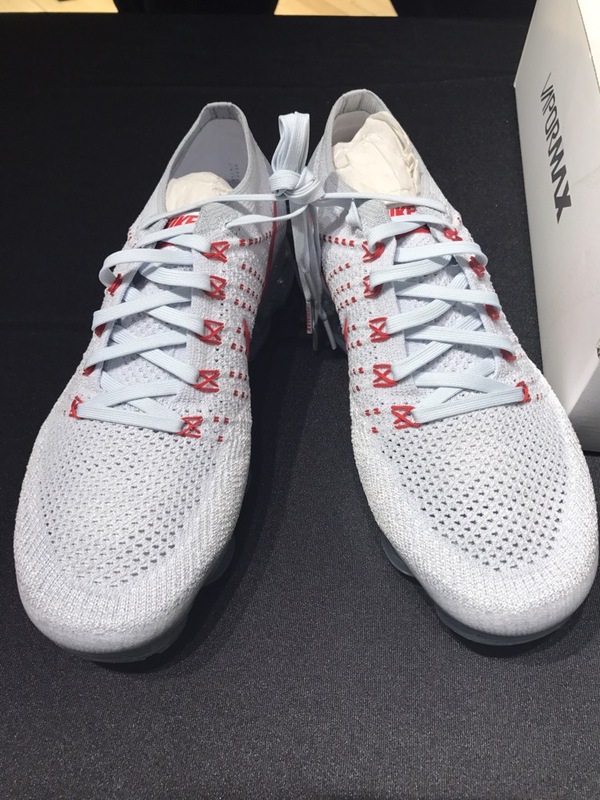 On March 25th a select group was invited to do a special 2 mile run in the VaporMax to celebrate it launching on March 26th. We were told that our destination will be an event named Sneakeasy. It was a party to celebrate this glorious shoe. Nike did not release their location to us or to the public ahead of time. Nike released the address of the Sneakeasy on twitter at a specific time. Those who are lucky enough to get there will be joined us for this private event. I put on my Vapor Max and hoped they would be good to me as we journey together towards their birthday party. They did not disappoint, after I laced up my shoe I was elevated on a cloud of air. Nike removed the foam layer; it allowed the new mid sole to create flexibility and spring to them. It felt like my feet never touched the ground. The shoe hugged my foot and allowed me to feel secure in them. As I ran throughout the streets I felt very comfortable and could have ventured longer than the 2 miles without jeopardizing my comfort. 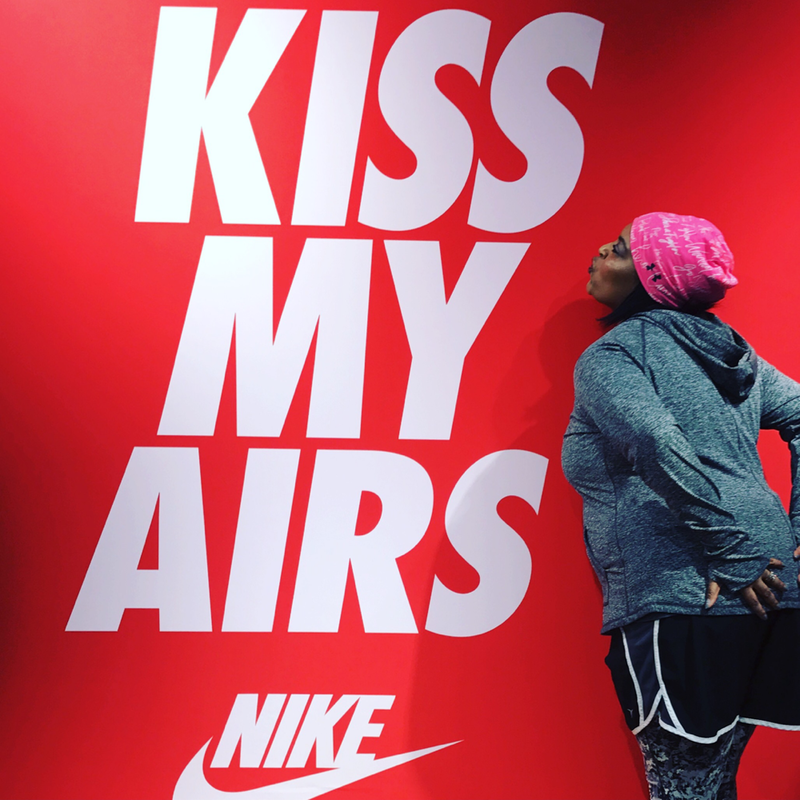 After the run was complete we freshened up and entered the event that had displays of previous Nike Air Max. As I take it all in and listen to the music being pumped loud, I notice the DJ booth, and a stage next to it. I decided to make front stage my spot for the night and I am glad I did. Around 9 pm Chance the Rapper walked right by me and took a seat. 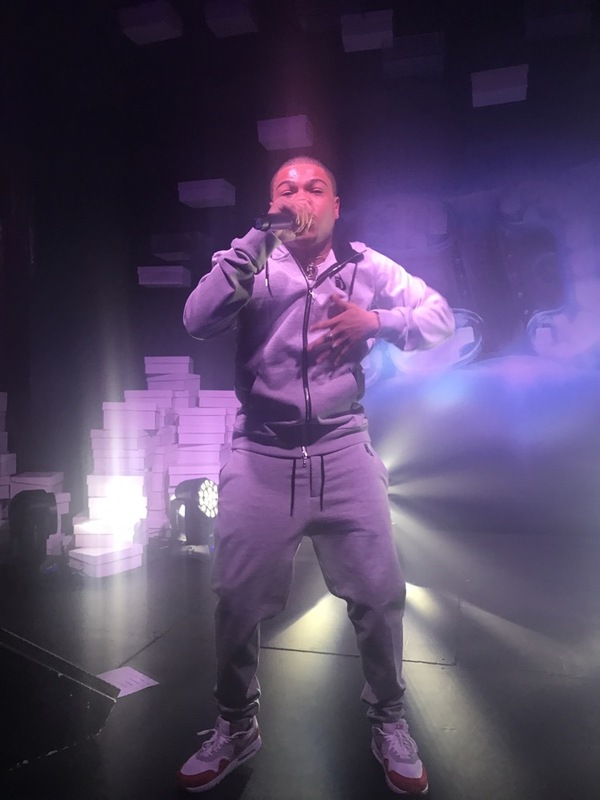 He was in attendance to show support to his brother, Taylor Bennett. He was our guest of honor, he entertained us with music from his latest album Restoration of An American Idol as well as some of his older hits. It was a historical night for a historical shoe.